Life with Aspergers: What does having "Mild Asperger's" or "Mild Autism" mean? What does having "Mild Asperger's" or "Mild Autism" mean? Please note: Under the DSM V, the concept of Asperger’s syndrome no longer exists. 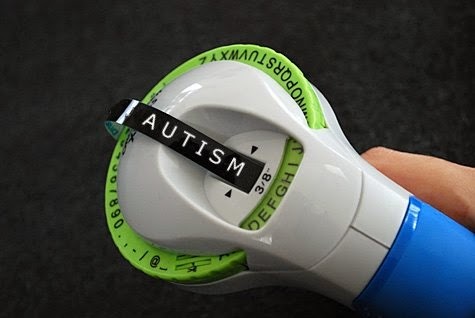 It is now simply referred to as Autism. Throughout this post, I use the word "Asperger's" because it's more frequently associated with the word "mild" but my comments here apply equally to both Asperger’s syndrome and autism. You see it all the time on web forums, things are going smoothly until a parent somewhere pipes up with the phrase, "I have a son who is mildly Asperger's. ..." and from there on, the group dissolves into two factions. One is continuing to remain loyal to the original purpose of the group, providing support and advice while the other is offended and is either busily discussing the semantics of the word "mildly" or tearing strips off the poor person who used the turn of phrase. It's also a turn of phrase that some people on the spectrum use to refer to themselves although this is much less common. What is "mild Asperger's and why do some parents find it so necessary to use it to describe their children? Why do people with Asperger’s syndrome become so annoyed over the use of the term? What is really being said and what is really needed? Hopefully this post will answer some of these questions. One of my readers recently said that "saying that you are mildly Asperger's is like saying that you are mildly pregnant". This is a very good analogy. Much like pregnancy, Asperger’s syndrome has a "binary state". It can be on or off, there is no other state. People's lives can be affected to varying degrees by Asperger’s depending upon various conditions but if you don't have Asperger's now, you're not going to develop it later in life. It may be recognized as a pre-existing undiagnosed condition but you either have it or you don't. Similarly, if you have Asperger's syndrome now, you may find that over time you learn to mitigate many of the worst symptoms but that doesn't mean that you no longer have Asperger's syndrome. Autism and Asperger's syndrome are lifelong conditions. What do Parents really mean when they say that their child is "mildly Asperger's" or mildly autistic? 2. I don't agree with, or haven't fully accepted the label. Both of these streams of thought are problematic. The ability to cope with anything is not a linear progression. It’s patchy. People cope better on some days and worse on others. In the best cases, there’s a small progression towards better coping but even then it’s usually only visible in the long term view of day-to-day “two steps forward, one step back” style progression. It’s also pretty easy for one particularly bad day to set coping ability right back to zero. One of the best analogies for understanding the way coping ability varies with kids with Asperger’s syndrome is to think of it as being a similar process to a person coping with depression due to the loss of a loved one. Some days are better than others. Some days, particularly special days, like birthdays and family gatherings, are worse. On the whole though, there’s a gradual "healing process" at work. For example, comparing special days from one year to another, the impact should ideally lessen… This is similar to the way a child with autism learns to moderate their responses to cope with the world around them. Of course, a subsequent loss can set everything right back to where it started -- In the case of a child with Autism/Asperger's, this could be a traumatic event, for example a very public meltdown in front of friends, a new bully at school or even just a change of circumstances, such as "moving house". People don’t “heal” from Asperger’s syndrome or autism but they do learn coping skills. For example, they may learn about a social faux pas which violates social norms and draws unwanted attention. The first couple of times this happens, it will cause a lot of pain (embarrassment). They may learn to avoid that pain by not repeating the activity. A good example of this was a boy at my school when I was five. He dropped his pants to his ankles while standing at the public urinal and he had to endure taunts from his peers for months afterwards. Needless to say, he learned that it wasn't the most appropriate behaviour. This isn't healing, this is simply learning the social norms required to cope with everyday life. Parents who look at other people’s children and assume that their child is able to cope with their autism more effectively aren't doing themselves any favours. A child’s ability to cope will greatly depend upon their situations, experience and environmental factors, such as loud music or smells, which are outside of their control. Coping can’t be ranked because it’s not something linear. It’s situational. It’s not essential that a label be accepted in order for a child to get the attention they need, (see my post on Special-ism: When Parents Disagree – Focus on Treatment). It does help however, when discussing matters relating to your child. Parents who say their child has mild autism or mild Asperger’s however are really saying; “He may have this label, but he is NOT like THEM. "Them" being “Rain Man” or other “apparently classic” depictions of the label. They’re trying to say; “my child is better” - and they're doing this for their own sake, not for their child. This is both insulting for others with autism and damaging for the child. It suggests that the parents are very judgemental and that they aren't open to trying behavioural exercises which work for other children on the spectrum. Unfortunately, these types of ignorant comments come across as very insulting to others on the autism spectrum . They can often provoke heated debates about the nature of this "mild" Autism and sometimes these can escalate into arguments or even a refusal to provide support; don't forget that many of the best practitioners in special needs have children on the spectrum - or are on the autism spectrum themselves. It's understandable that people feel the need to lash out against insulting remarks but this doesn't help the child on the spectrum. They need support and understanding. 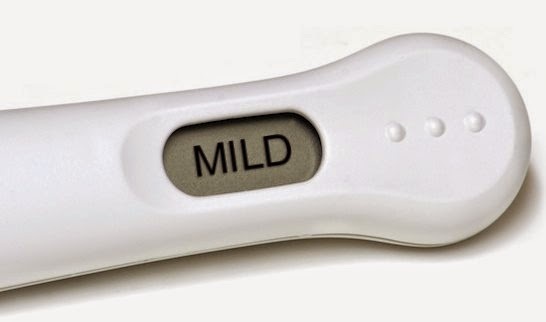 It doesn't help the parents either as the use of the term "mild " suggests that they're either new to it all, or they're not coping well. Correction is not needed here, merely gentle coaxing. It doesn't matter what words parents want to use provided that their child is receiving appropriate early intervention. Once parents and child are on this path, understanding should follow naturally. YES! A thousand times YES! And while we are on the topic of 'mild' autism, let's talk about high and low functioning labels. I know people are generally well intended and mostly seeking to glean clues on how to interact with others. But I can tell, as a mom of an Autistic kid, when you ask me the big "High functioning?" question, if it is because you want to know if you are required to stop and feel sorry for us or if you are free to be unconcerned. For the record, I want neither reaction from you. Just appreciate my son for who he is and treat us (as all people) with compassion and respect. We all have issues - some are just more predictable than others. I can't agree with this post. I have two Aspie kids. My daughters' ASC is far milder than my son's is all areas of functionality. Communication, impulse control, executive function, self advocacy skills, sensory wise and on the list goes. Autism is a spectrum, that included levels of functionality and disability from mild to severe. To suggest the term 'mild' is wrong as an explanatory term is, I think, being pedantic. In truth it's a perfectly legitimate use of the term. Sharon, I'm very pleased to hear your point of view. Thank you. My two sons both have autism. Under the DSM IV, my eldest was classified as Asperger's while his younger brother was classified as Autism. You would think that this would mean that his younger brother would have the most difficult -- and for a short while that may even have been true. Unfortunately, as co-conditions go, my eldest also has (and I'm using old DSM terms here) learning difficulties (NVLD), Attention Deficit Disorder (ADD) and perhaps a form of Dyslexia. His younger brother got nothing extra, though at times he seems to behave like he has Obsessive Compulsive Disorder (OCD) and sometimes Oppositional Defiant Disorder (ODD). The thing is that these co-conditions really change the picture. My eldest son's co-conditions all affect his ability to concentrate, organise, learn, record and retain information while my youngest's OCD actually helps him to obsess on things (making learning easier). Their actual "Autism" has very little to do with their coping ability. With all due respect, the claim that Asperger's / Autism is a binary state is something you have to prove, not just something you can state. It's the difference between the actual genetic / physical differences and the DSM-V approach. Everything I've seen suggests there is a significant genetic component and it's caused by multiple genes, each of which may be switched on or off. To my mind, this strongly suggests there are different "shades" of autism. While it seems nonsensical to think there is a complete ordering of "severe to mild", never-the-less it's perfectly reasonable to suspect that some cases will have significantly less negative impact on your life than others. The DSM just muddles this, because it defines it autism as a binary condition but it is subjectively evaluated. That's just insane. It would shock me if twenty years from now the diagnosis of autism even vaguely resembles what we have today. I think there's another way this gets used that you didn't cover here. I'm officially diagnosed with ASD. Moreover, I have a pretty good understanding of the inconsistent ways in which my various autistic traits effect me on a day to day basis. All the same, most of my traits aren't especially disabling, and at this point in I've developed a pretty good set of coping skills. So when I'm in discussions (usually online) with other people on the spectrum, I sometimes feel the need to put some sort of qualifier on my diagnosis. Not because I feel any sort of shame or doubt about the label for myself, but because I'm afraid of causing offense by (implicitly or explicitly) equating my own circumstances to theirs, which are often much more challenging than my own. Most people I encounter are pretty good natured about it. But it's not that uncommon to encounter people who do get pretty openly offended when you suggest that people who don't struggle nearly as much as them are also on the spectrum. I don't necessarily agree with the way they react to it. But I also don't always have the energy for that fight, so I tread a bit more carefully and use qualifying words like "mild" when I suspect I'm dealing with someone like that. Of course Aspergers has only 2 states; on and off. There is no grey. You either have it or you don't. I can't agree with this post either. I accept my son as he is with his strengths and weaknesses. The truth is that I think the world is better with him in it. I think the world needs to adapt to him as opposed to all the "accommodations" on his IEP to teach him to adapt to them. That is the truth of the matter. He is PDD-NOS. Autistic. But most people don't understand what that means. They associate Autism with the "rainman" syndrome thinking. They do not understand that it is a spectrum and if you have met one person with autism then you have... well... met one person with autism. He has friends, most of which are also on the spectrum. Not because he isn't in a mainstream classroom but because he enjoys those friendships because they are easier for him and because those children accept him for him. It doesn't mean he is not autistic. It is easier to explain to others who do not understand ASD by just saying he is mildly autisic. They understand that term (well sort of). THere would be very little change in the world without the kids on the spectrum. They see outside of the box we are stuck in. I know that the world is a harder place for him because he has to adapt to others instead of others adapting to him so I am sad for him with that but we are all better because he is here. I am not looking for a cure for his autism. I am looking forward to an acceptance of it. That not everyone is the same. He is definitely on the spectrum, I have no doubts about that. He is very hard work at times, particularly when he is more anxious during periods of change or unpredictability. With help and understanding, he's learning to cope better in all aspects of life. I am aware that his differences may become more obvious as he gets older, and am terrified that he will become a target for bullies. Ultimately however, his difficulties are nowhere near as disabling as those of some others with autism. Some people are much further along the spectrum than he is, and therefore I feel it could be argued that his AS is mild. I sincerely hope that these views don't offend anyone. This is so difficult, but Matt makes an important point. It's hard to know how to talk about a kid whose autism is, well, "mild" without making someone mad. If you use the qualifier, you're seen as denying or minimizing the reality, or somehow bragging and suggesting that he's better than others. If you don't, then someone is going to get mad at you for implying that your child's struggles, or your family's, are somehow equivalent to the much tougher challenges that some others are facing--when they really are not. So hopefully we can all just have patience with each other as we sort this out. I am a mom of a son with HF autism. I have struggled with trying to explain my son's diagnosis to others. As sad in others comments, I too just want appreciation and respect for my son. I also realize it is almost impossible for others to truly understand as they have not experienced it. 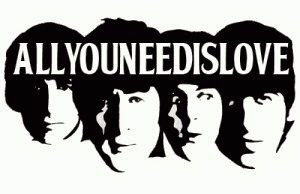 I would love if you would consider posting this article on zigsocial.com. It is a new social media site for those on the autism spectrum. It started from a request of two men who felt like you did and wanted to badly connect with others on the spectrum. I completely disagree. I have Asperger's (yes, MILD) and when I say so I am not trying to state that I am 'better' than other people with this condition. Neither is my mother trying to state I am more or better when she refers to my mini-Burger's. On the contrary, publically saying someone is simply 'autistic' is just plain unnecessary if they only display some of the symptoms. Autism is like the Kinsey scale, it's not just something that's 'there' or 'isn't.' There are people with Autism who will get a job and get married and have kids, and there are others who will never be toilet trained. I'm not trying to be cruel, it's just the way it is. Same thing with Asperger's. There was a boy with AS at a spelling bee I attended as a child who kept poking and touching and grabbing me and saying "You're related to Aladdin. Aladdin's last name was Ward too." Does he have the same 'degree' of AS as I do? Of course not. But that is absolutely no reason to disregard my challenges- my shyness and social foibles, my difficulty in seeing my self as a part of a 'group' and my disconnect from people who are supposed to be my friends. Does every AS person have the same amount of Asperger's? No. I have struggled with loneliness and 'getting' people all my life and personally I find it hurtful that you seem to see people as being less affected as not having the syndrome at all and being unworthy of discussion. Whew. Rant over. Maybe you should think twice before making grand sweeping statements with critical implications. Thank you. Your feedback is very important. I'm not suggesting that there isn't a scale (though IMHO, it's more like a star than a line). If anything this is more my own personal dislike of the concept of "mild". I suspect that I'm getting hung up on semantics. It's not the Asperger's that is mild, but rather the impact upon the person. You make some valid points though and that's the important thing. If we don't put ideas and concepts "out there" we don't get useful feedback like yours. The crux of this post is really that we shouldn't get caught up in labels and that everyone needs some support, just different levels at different times. I need help. I have seen the word 'mild' recently in my son's Psych eval needed to obtain services from our county. In this case, it came from standard tests used to determine IQ and adaptive functioning. What I really need to know is, in this case, will the ACTUAL CATEGORY 'mild' have the same impact on the county review team as it has here? The documentation will follow him and I am concerned this category/word 'mild' will downplay his needs overall. More immediate though, during the review to determine if he will be eligible to receive services. Please tell me what your thoughts are on this. I have mild aspergers. But I had severe Aspergers. What I'm trying to say is that your situation can only improve, because you learn to handle it better. I love your website and am finding so many of the articles amazing, but disagree with this one--in particular, that there is a set amount of reasons as to why one person says "mildly autistic" or "high functioning." I say mild or HF so because it is easier for people to just accept her diagnosis--rather than trying to get into a big huge discussion as to why she is different from another person they knew or saw who has ASD. We live in a society of arm-chair analysts, where everybody feels they are an expert on everything and question everything. My daughter was recently diagnosed with ASD and we just joined a group where she met others who share her diagnosis--how WONDERFUL! But for those outside our realm, they don't understand and some disagree with the diagnosis because she is not like others they have met with ASD. Teachers, friends, etc, too often think of autism as being only a child who at 18 months, suddenly can't speak and struggles with any communication. My daughter's speech was always very mature--too mature. She used the words we used, learned to read at a very early age, and then used those words, and people thought she was gifted. But we had significant problems because she didn't understand things that people thought she should, based on her supposed intelligence. No, she is not gifted, but in fact has a processing speed deficit, in addition to ASD. But people overestimate her abilities based on her speech and don't understand her and why she can't follow all these unspoken rules that the other children naturally realize because they are aware of how to fit in to society. Perhaps, a bigger question is why do we get so upset at these kind of modifiers? The DSM V uses them (although it uses a Level 1, 2, or 3). If it was anxiety, wouldn't a modifier be helpful? (This causes me extreme anxiety) If it is a physical condition, like asthma, we use them. A person should be able to describe herself however she chooses so that she can get her message across--communication that is influenced both by the speaker and the audience. I have a friend who has the more easily-diagnosed form of autism, and she has valid concerns as to whether her son will ever be employable as an adult and is trying to help him find his place in the world. Differences do matter, but my daughter is not "better" than her son. They are both so needed in our world and are amazing people. Life is not a contest or a race. If your child has the word "mild" and it is discussing IQ and adaptive functioning, that sounds more like a different diagnosis--specifically, an intellectual disability, which has three components: (1) IQ below 70 (plus or minus 5 points); (2) a deficit in adaptive functioning; and (3) onset before age 18. If the IQ is between 70-55, it is considered a mild intellectual disability. The ASD diagnosis that my child received did not specifically address those prongs (although she did undergo IQ testing, it was just to rule out other possible explanations). I would inquire from the expert who tested your child--it is always helpful to have as much information as possible. This made me laugh. Every internet community I have been involved with has these kinds of splits and spats. Every one of them seems to think they are unique to there community. On this particular topic I don't think there is a right or wrong here and I think you are both right and wrong. Yes, I mean that exactly as it reads!LOL. It is an idea to inquire what exactly a person means by using the word 'mild' before you jump on the outrage bus. I am looking at everyone here not just neurotypicals who like to think they know what the aspie/autist is going to say almost before the aspie/autist opens their mouth. Another thing that made me smile rather than go into rant mode was Person with Aspergers exhibiting concrete, black and white thinking. I'd check your mirror before pulling out into traffic, mate. LOL! The DSM. The leads on II, III, and IV have all come out against V. I remember following the guy who lead IV in the run up to the finalisation of V. He regretted IV and was very dubious about the whole DSM thing from III onwards. My default is if it comes out of the US, it is probably a bad idea. That the previous three leads have come out against V, I wouldn't even use it to wipe my arse. That is what I told my father. You have it or you don't. It's not 'mild' aspergers - it's aspergers. No, it isn't autism, because it's aspergers.